Skip bin hire services are rising in popularity nowadays because of the convenience they offer to every Australian household. However, the accessibility of these services can lead to complacency in waste handling. Improper waste disposal doesn’t just impact every household, but it also poses severe environmental consequences. Hence, everyone should work together reducing waste by reusing and recycling household items that don’t really have to go straight to the skip bin. Even if you don’t know how to recycle, you can still reduce your waste by keeping a separate trash bin for used papers, especially when you are in the office. Recycling companies accept used paper. However, if you are shredding your papers before delivering them to the recycling center, make sure that you are not using a cross-cut shredder as they normally produce shredded papers that are too small to be recycled. Reading books may be your favorite pastime, but the number of books you can accumulate over a lifetime can take up a big space in your home. Instead of throwing away your used books, you can donate them to charities or sell them on online shops. This way, you won’t only be able to dispose some of your old items, but you would also be able to gain profits from it. While throwing away disposable cups and plates may seem convenient, it is always best to stop and think whether these items should go straight to the bin. Plastic is one of the biggest environmental headaches, and we should all take a pro-active approach in reducing plastic wastes. Hence, instead of tossing the plastic cups to the garbage cans, send them to the recycling center, or better yet, re-use them after that house party you threw in for your family and friends. Disposable plates, on the other hand, can be used to moisturize and supply nutrients to your plants since they easily break down after a few weeks. You can do this by shredding the plates and placing them around your plant’s base. It may seem easy to dispose of old household batteries, but they are actually a big environmental threat. Little they may seem, but batteries contain toxic materials that leach into the ecosystem once they are disposed into the landfills. Instead of irresponsibly throwing away these household necessities, you can do Mother Earth a favor by sending them to post offices, libraries and recycling centers. Yes, libraries. Many libraries are part of the Australian Battery Recycling Initiative and will take your batteries for recycling. Aldi is also involved in this initiative and you can drop your batteries in to any shop. Empty ink cartridges, just like batteries, are toxic in nature. As a homeowner, you can prevent your cartridges from touching the ground by sending them to major supply centers that will take them in for recycling purposes. Plus, some shops can also offer you a discount for the next cartridge you are going to buy. That’s pretty neat, isn’t it? The use of plastic bottles may already be a norm in your household, especially if you love drinking sodas, but it doesn’t mean that you have to let those bottles go straight to skip bins. Instead of throwing away the bottles, you can decorate them and use them as plant and flower pots in your garden. Or they can be recycled. CFL bulbs, also known as compact fluorescent lamp bulbs, contain mercury. Since mercury is a known toxic chemical, it is imperative every homeowner stop disposing of their CFL bulbs improperly. To make sure your bulbs are properly taken care of, drop them off to a hazardous waste facility or to a hardware store. 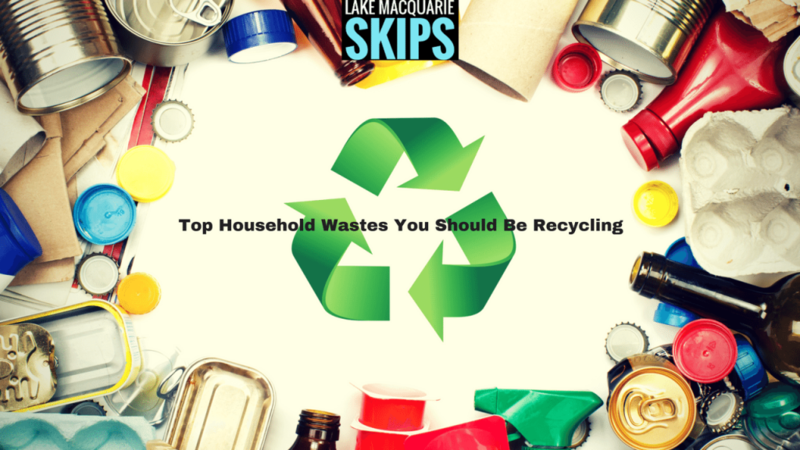 From CDs and DVDs to old television sets, the list of recyclable wastes is endless. While you don’t have to go the extra mile just to minimise your waste, re-using and recycling old items is integral if you want to guarantee your children a brighter and a greener future.